Brenda Lee Elliott (nee Johnson) was born in Carrsville, Virginia on January 6, 1954 to Buster and Sarah Johnson. The family was very broken and quickly became impoverished when her father left, leaving eight children hungry for food and love. Brenda graduated high school with support from her high school sweetheart Larry. He was very caring but had his own demons which often left their relationship at a crossroads. After a seemingly loveless childhood and a broken heart, she packed her bags, leaving with their two small daughters. Before she could depart, Larry convinced her to come to the place where his soul was being saved. Brenda obliged and on March 19, 1977 they were both filled with the Holy Ghost at Refuge Church of Christ, C.O.O.L.J.C. in New Haven under the leadership of Elder Charles Mitchell. They were married on May 7, 1977 now able to experience true love. 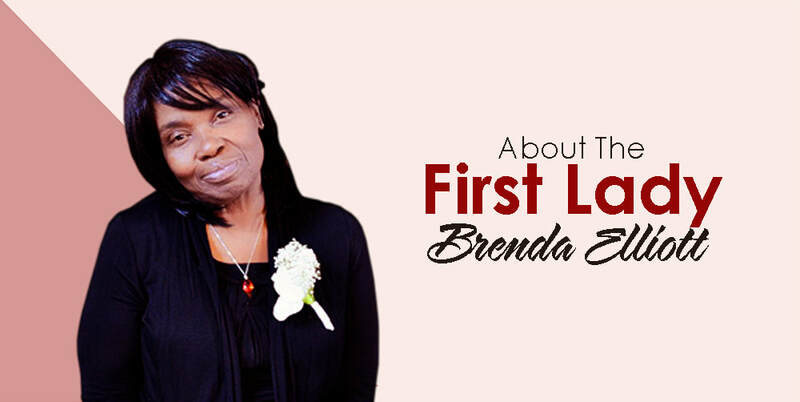 Sister Brenda worked faithfully in the church as a Junior Missionary, Social Missionary Senior Missionary, secretary, treasurer and other offices. Her husband was called into the ministry as their family was growing. As her spirit strengthened, her will was tested. She battled colon cancer, Lupus, a stroke, heart attack, all of which she was healed. She has had at least 14 years of kidney dialysis and is presently waiting for a compatible kidney. Amidst these afflictions and at the point of death many times, she yet trusts the True and Living God and continues to serve Him. She has been a missionary for thirty four years and is currently president of the Sisterhood of her local church. Mother Brenda Elliott is the First Lady of the Bibleway Church of Meriden, wife of Bishop Larry Elliott, Pastor and Diocesan of the International Bibleway Church Southern New England Diocese. She is the mother of seven daughters and has sixteen grandchildren. She remains a sister, friend, prayer warrior, leader and dedicated to building the Kingdom of the only God our Savior, Jesus Christ. © 2018 Bible Way Church of Our Lord Jesus Christ World-Wide Inc.